The guard bars in a EAN 8, EAN 13, UPC A & UPC E code (these are the ones, 3 pairs, which are a little longer than the other bars in your code) are comprised of three elements – bar, space, bar – these three elements should be the same width. Why is bar width important..? 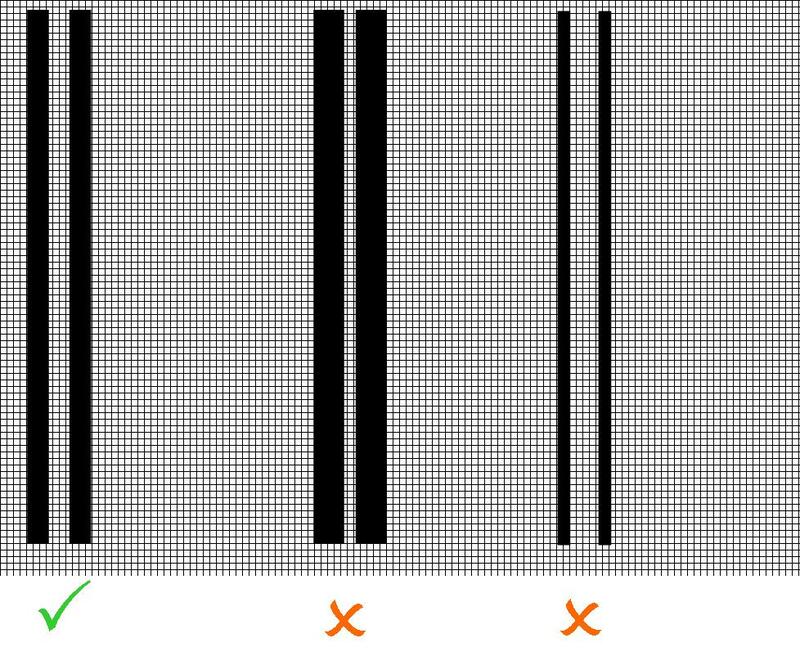 What should you do about bar width errors…? It depends on how your bar codes were generated. In the ‘real world’ bar code examples above, the centre one (‘too fat’) was produced on a thermal printer onto a tag – you may well produce these in your business. Quite often, when bars are too wide, turning down the burn temperature on your print head, will result in a thinning of the bars. If they are too thin, turn up the temperature. As a rule of thumb, it is better to be a little on the thin side than too wide. Also, try to standardise on a minimum of 100% magnification factor for all of your codes – that way, you have a greater tolerance for bar width variance. How to spot whether your bar code is too thin, too fat or just right!